Wow....this is great and very exciting to hear. Congratulations as you celebrate one year in the blogging world. Happy blogiversay!! Time flies when you're having fun. I'm coming up on 5 years, can't believe it. Awesome giveaway too! Happy 1st blogiversary! Blogging is really fun. I hit my 3rd year last month. This is such a cool giveaway with lots of fun items. A year anniversary is such a big deal and very exciting. Congratulations to you and good luck to a year of success in 2018. 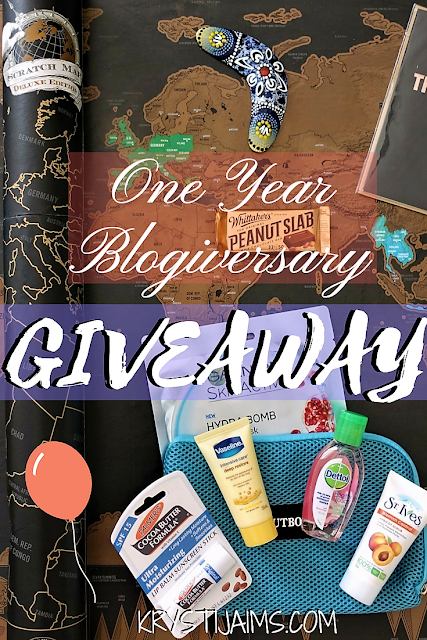 Congratulations on your 1-year blogiversary! 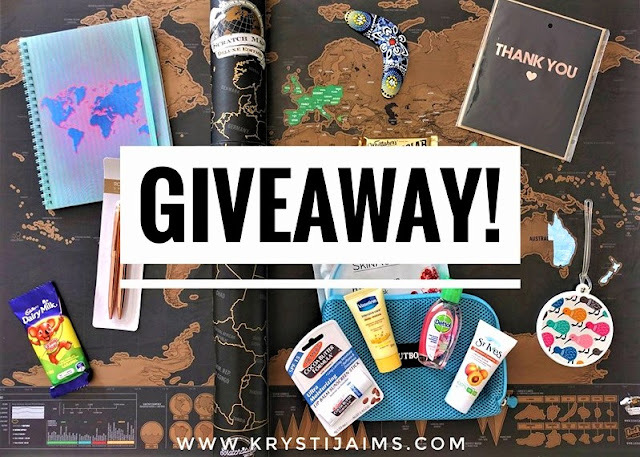 This is a fantastic giveaway and includes so many wonderful travel items I would love to h ave. Awesome job on the 1 year! I can't believe I'm hitting 2 years in January....love blogging! What a great giveaway and generous way to celebrate such a special occasion! Happy blogiversay, and here's to many more! Hey congratulations it is always nice to celebrate milestones and achievements it has been nice to read your stories and follow your adventures. Thanks for the giveaway! So many awesome prizes for this giveaway! It's really awesome that you're celebrating! Blogging has been a blessing for me and I couldn't be happier that I started. Well congrats to you! Next month will be year one for me. If I hadn't read this post, I would have completely forgotten about it. Awesome giveaway BTW! Congrats on your one year going strong. That is awesome. That's very exciting. I do love the scratch map. That just looks so cool. 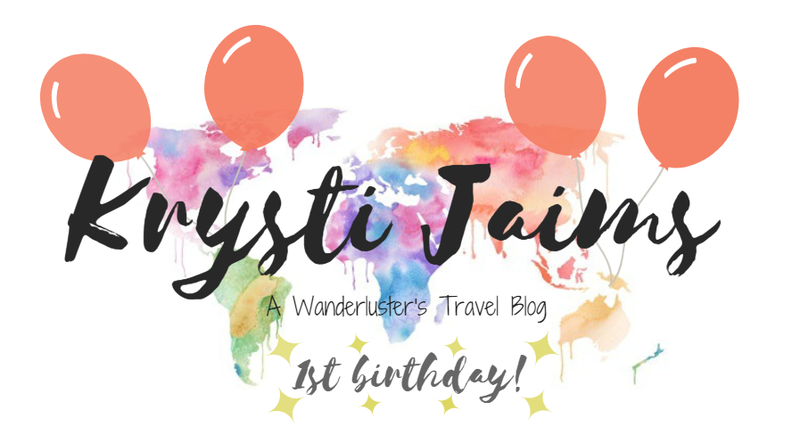 Happy one year blogging! That's a big accomplishment and I hope you're loving it! Nice one. Great giveaways. Congrats on your Blogiversary. Congrats, thanks for having the giveaway! Scratch Off Map is really an awesome tool for travelers. Thanks for sharing Giveaway.